The fabulous Cafe Milk in the Fruitmarket Gallery on Market Street is holding a gluten free event on Saturday 26 August in association with Bellfield Brewery. Above you can see the excellent menu which will be at a set price of £35. 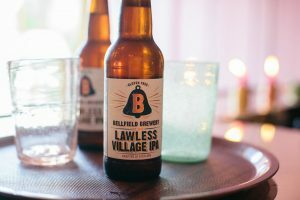 You can wash it all down with some of Edinburgh’s local gluten free beer from the Bellfield Brewery in Portobello. Cafe Milk offers great gluten free choices, including baking and lunches. This event is a one-off and fits into a schedule of events throughout the year.